The agreement will provide Grundon with a landfill alternative for its current collection and treatment services to help meet rising demand from commercial customers, the company says. Sullivan-Webb adds that diverting waste from landfill and converting it into renewable energy is a top priority for Grundon. “Having secured this significant capacity over a long-term period, we can now expand our energy from waste and energy recovery services to many more customers across the wider region, providing them with a much more sustainable solution for the management of their waste, " he says. Derek Edwards, south east regional director for Viridor, says, “As a business we’re giving the world’s resources new life by transforming what society throws away into valuable raw materials and energy. Built at a cost of £205 million (US $318 million), the 26-megawatt Ardley ERF was officially opened in June. Grundon’s operations at the Lakeside energy from waste facility, a joint venture with Viridor, will remain unchanged. 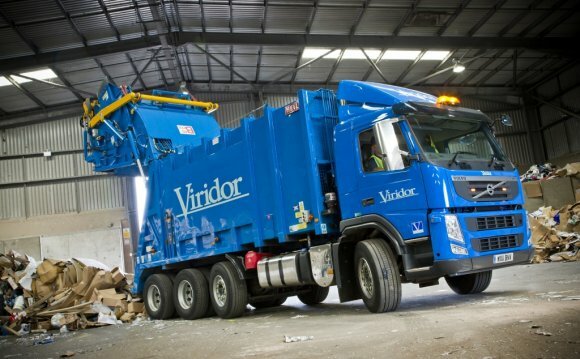 Viridor is a waste management company in the United Kingdom, owned by Pennon Group, a FTSE 250 based plc focused on the water and waste management industries. Pennon Group plc (LSE: PNN) is a British water utility and waste management company based in Exeter, Devon in the United Kingdom. The company is listed on the London Stock Exchange and is a constituent of the FTSE 250 Index.